It looks like Symbian may have a more drawn out death than we have been led to believe. We have known that Nokia plans to shift focus from Symbian to Windows Phone 7, but Nokia had also been fairly active in building the buzz around Symbian recently with the release of OS update Belle, and the announcement of Microsoft Office Apps for the platform. But, it seems that Nokia no longer wants the responsibility of upkeep on Symbian and has outsourced the platform. This past Friday, Nokia finalized the agreement to outsource Symbian software development and support activities to global management consulting, technology services and outsourcing company, Accenture. Accenture will continue to support Symbian until at least 2016, theoretically giving the platform a longer lifespan than many expected. As part of the deal, Nokia transferred 2,300 employees from China, Finland, India, the United Kingdom and the United States to Accenture to continue working on Symbian. This is definitely good news after Nokia had announced a "realignment" of the workforce, which could amount to cuts of around 3,500 jobs. While this move gives a bit more stability to Symbian, we'll have to wait and see just how much support Accenture gives. Good Job Microsoft you got Steven Elop into Nokia and now Microsoft will make more money than ever. They will definitely give as much support as they will get payed for. And when Symbian is not a priority for Nokia anymore, we can expect that support will be lower and lower and lower. How much support has SE Symbian users after SE abandoned Symbian? 1.Is it 100% sure that we (symbian 3) will have microsoft apps available in ovi store for download? That would be great. 2.What s the best alternative office currently in ovi store? Well done microsoft you have taken fantastic revenge in killing symbian by keeping pseudo president at nokia. Symbian kept windows out of smartphone arena for such a long period. Notorious microsoft has placed a trojan horse to nokia to kill symbian. 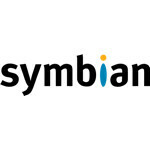 The redmond company aiming to establish on the ashes of symbian. But it has to understand that because of this android has established itself as defacto choice for the consumers. Recently launched belle would have given a stiff fight to android if planned path not disturbed. Whatever that one individual who was sent on purpose has done to nokia indirectly helped android to become no1 os. But windows will never ever become serious os. One thing is certain that no one will dominate ever again like symbian did. So Accenture is there to only support existing users and not really focus on further developing the OS?? What support for Meego? Last update was almost 2 years ago! i own a N9, Meego is a great OS, too bad they killed it. Now i use a 1020 and i must say WP is limited OS wise, it lacks some features and settings.